Now, I’ve said it before and I’ll say it again… when craft beer folks get together to brew more often than not great things happen. I know it happens when I get together with my buddies to brew. There’s something about working together and bouncing ideas off one another that brings out the best in whatever we brew. So I’m projecting here, but I know that has gotta be what happens with the Stone Collaborations too. I bet you think you know what to expect from a collaboration between Stone, GreenFlash, and Pizza Port… some sort of nuclear-hopped bottle of insanity, right? Maybe you suppose you’ll get a West Coast-Poor Man’s-Ruination? Not so fast! Instead, how about a malt-driven, barley-hopped ale with incredible depth, complete with the kind of rich, bold flavors that allow for cellaring? Chuck, Mitch and I put together a classic style that we think that everyone can savor. Whether you consider yourself a guru, or are just starting on your quest to craft enlightenment, we hope you will enjoy this fine Scotch Ale. It’s my personal belief that ale aficionados should try and appreciate all styles and this is one of my favorites. You won’t find any bells or whistles. No crazy ingredients or strange techniques. Just a straight up big ale. It has been quite a ride for me in the 12 years since my last day as a brewer at Stone. I have changed, Stone has changed, and the craft brewing world has certainly been transformed. Surely, it was great to be back, even for just a day. And, what an honor it was to work with two brewers with such exceptional brewing credentials. We hope you will enjoy this bottle now, later, with a friend, or by yourself. However you have it, take your time! A big thank you to Stone Brewing, Mitch Steele, and Chuck Silva and to everyone else that continues to grow the brewer’s art in San Diego and everywhere. As you can see from the text on the bottle this isn’t your typical San Diego brew. It pours a nice red color in the glass and had very little head at all. It had a sweet malty smell too. I’m not too familiar with the Scotch Ale style of beer, so I don’t have much to compare it to. But it was a very enjoyable ale. Complex and bold, just as advertised. 4 caps from me. I’ll be buying another bottle to cellar. I hadn’t seen this collaboration before and it wasn’t until reading the label that I realized that this is a beer brewed back in December 2010. You see, I went to a new secret spot that I found in Costa Mesa and just assumed it was a different selection than my usual bottle shops, (Hi-Time Wine and Pacific Park Market.) Ever since Farmer’s Harvest closed it’s doors I’ve been looking for another secret spot. This store had four Stone Collaborations in one of the beer fridges, right at eye level. So as I walked up I was transfixed. 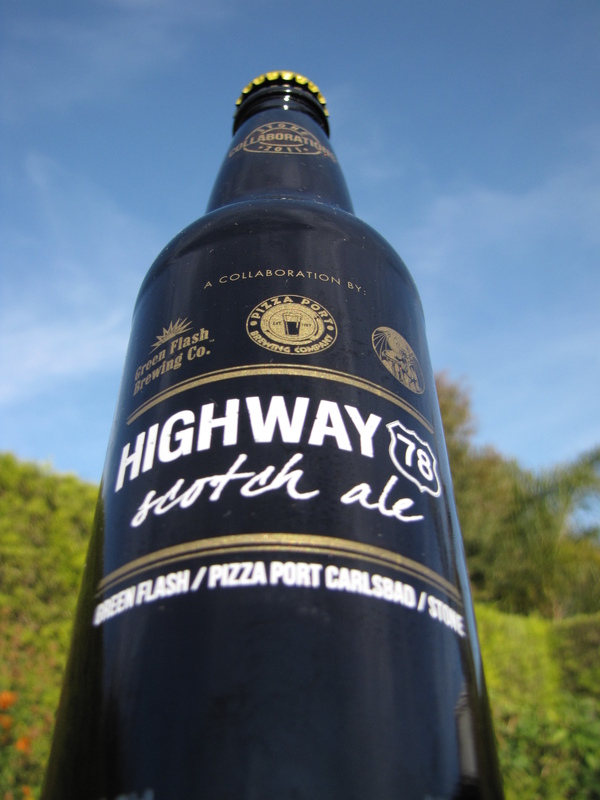 Stewey and I recently had the La Citrueille, Celeste de Citracado, and I had the Cherry Chocolate Stout and Japanese Green Tea IPA a while ago, so I grabbed the Highway 78 Scotch Ale, which I’d never seen before. Silly me, I just assumed it was a new one. 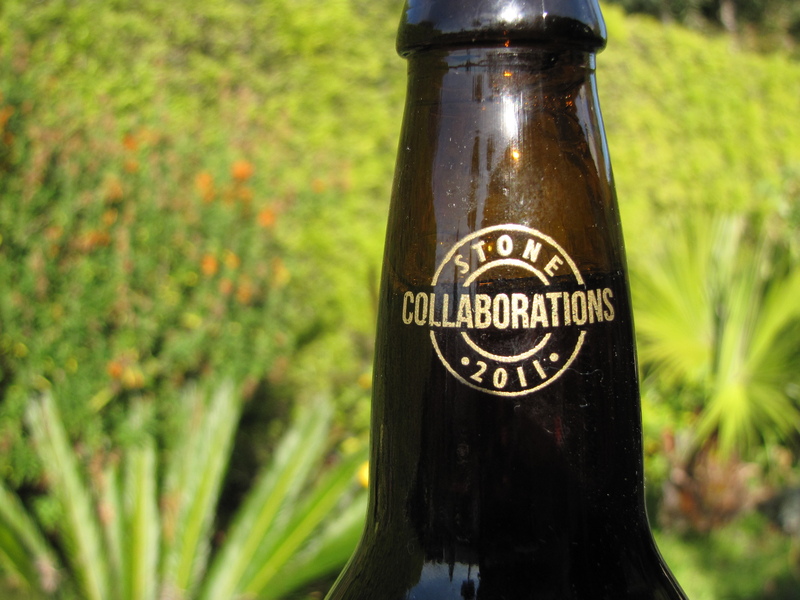 A trip to the Stone Brewing collaboration web site showed me the error of my ways. It looks like “More Brown Than Black IPA” is the recent collaboration that I need to pickup. So anyway, this new spot is going to make it into my regular rotation of stops on my hunt for any other great craft beers. Not only was it a different selection than I’m used to, it is also run by some folks who really appreciate good beer. I’m looking forward to talking with them next time I’m in and I’ll see if I can do a proper write up on the store. Until then it remains a secret spot. 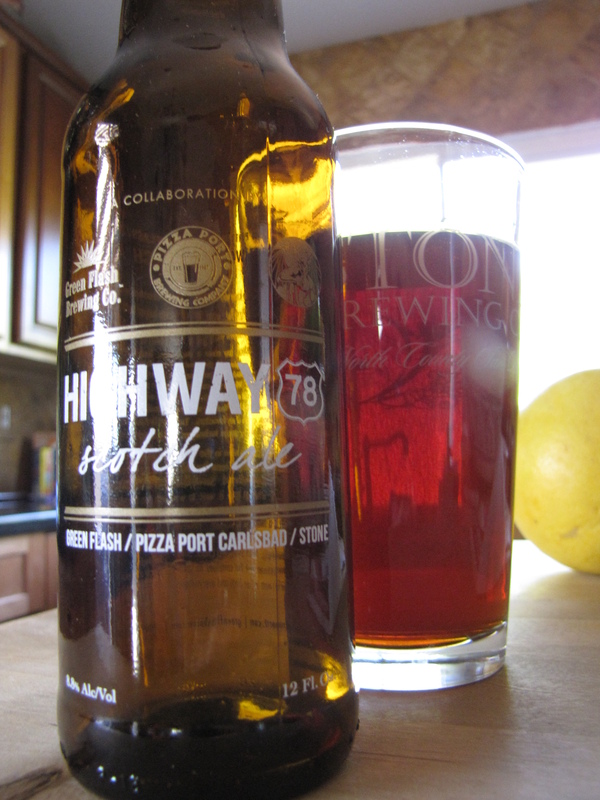 This entry was posted in Ale, Craft Brew, Review, Scotch and tagged 4 caps, 8.8%, Collaboration, Green Flash, Highway 78, Pizza Port, Stone Brewing by Erik. Bookmark the permalink.